Charcoal gray mittens sporting perky red cuffs are adorned with a partridge in a pear tree snowman catching snowflakes geometric tree NOEL car bringing home the Christmas tree and a jaunty reindeer. 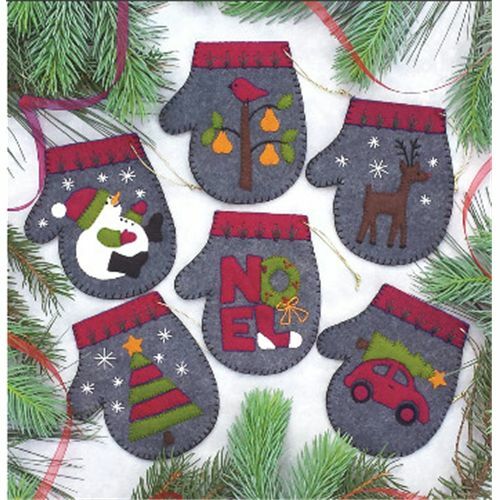 The opening at the top of each mitten is perfectly sized for gift cards or other treasures. Make them for the tree or for gift giving! 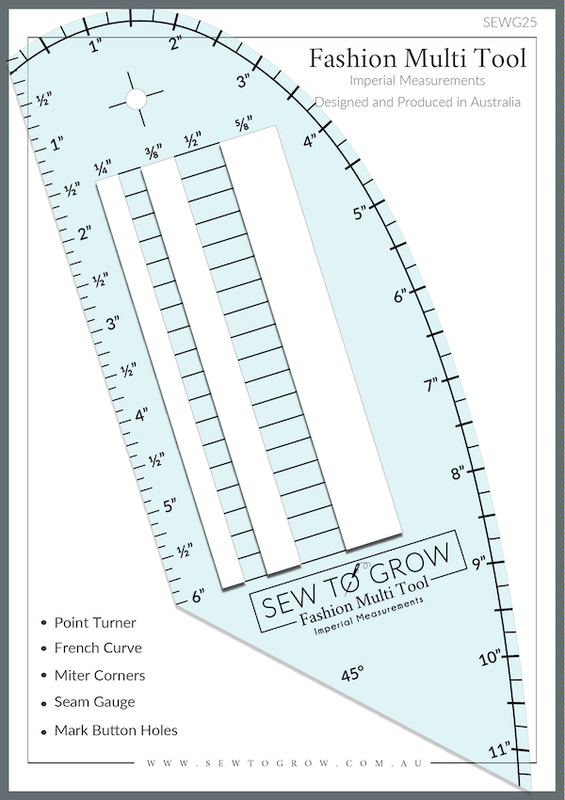 Each mitten is approximately 4â€� x 4 1/2â€�. 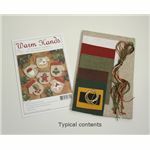 Kit includes woolfelt embroidery floss and gold string plus precise patterns and illustrated instructions to make 6 mitten ornaments. Colors are charcoal red green gold white brown and black.